FinTech is all about financial technology. This newest and innovative tool is used in the financial sector with a mean to deliver financial services to consumers, businesses and other financial establishments. 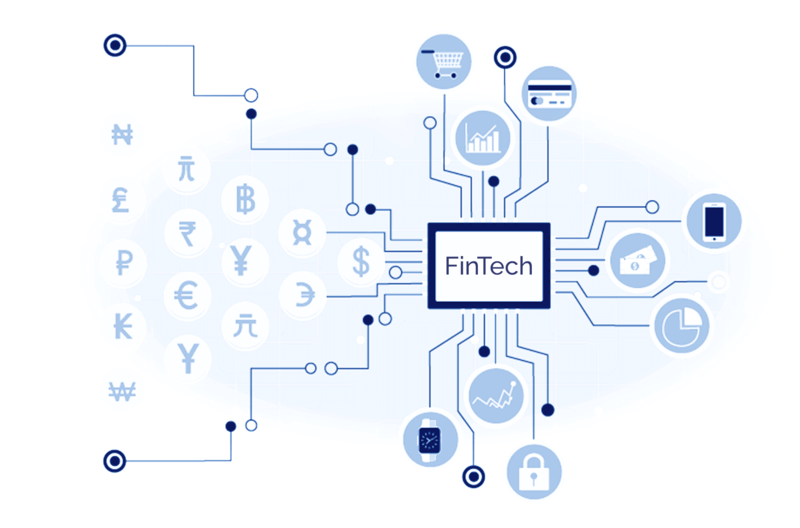 FinTech is a new industry that is disrupting traditional financial methods, for instance, those companies which operate in payment processing, alternative lending, wealth management, cryptocurrency, etc. to make financial services open and more available to the public. All it needs is a mobile phone and an internet connection. In today’s scenario, people go for an online platform for managing and executing their financial lives. With the advent of mobile applications, people have gone for this easy and quick mode that make their transactions seamless, efficient, best quality, cheap, convenient, reliable and faster. Fintech provide ultimate solutions to small and medium businesses. The advanced FinTech methods help the business organizations in carrying forwarding easy and fast funding options. In the early scenario, if an individual wanted to start a business, he goes to nearby bank requesting credit. And an account of major credit provider was mandatory to perform the desired request so that acceptance of credit cards and other norms get simplified and can be executed globally and nationally. Today, FinTech is revolutionizing how business implements their startups and conduct their transactions globally. FinTech pays a new, simplified and refined way for starting a business or running a business. Let me explain you in detail how it is. Suppose you can’t discover an investor for your business idea. Or you don’t have the guarantee or credit to get approved for a loan. Fintech technology help businesses raise money quickly, cheaply with greater security and transparency from people all over the world via the internet. The process of funding capital has greatly increased, it has spent less than a few weeks from within a few months. Tools like PayPal, Square, Stripe, Dwolla etc. has made businesses to accept payments via credit and debit cards easier. Now an individual can seamlessly and safely process their credit payments from where ever they want. There is no excuse these days for not embracing the latest financial technologies. Today’s tech-savvy consumers especially the younger ones are adapting to change themselves towards the new financial technologies. FinTech with its smart and easy way of doing things, it is rapidly bringing changes in the customer behavior and their expectations. FinTech help customers get data and information from anywhere. Additionally, it gives a similar quality service from small firms that are usually available to consumers through large firms. Consumers never again need to visit banks, ATM and business firms physically. They can access their banking transactions via mobile internet. FinTech has helped consumers to keep a track on their financial behavior. They can connect with commercial service providers through mobile apps. They can pay bills, transfer money, loans and payments, purchase or sell, fundraising, investing services, cryptocurrency, etc. from their portable mobile applications. Another most hyped term in the financial world today is Blockchain Technology. The blockchain is a distributed ledger, which can be used for recording the transactions and storing the transaction details. It tracks every asset placed in a network. There is no central authority in a blockchain system, meaning all transactions are recorded, stored and shared in a particular network. The applications of Blockchain are expanding beyond all the initially defined possibilities. Now that you know what is Fintech and blockchain, let us take a look at a few use cases of blockchain technology in the Financial services. Smart contracts- Smart contacts are the digital version of contracts and it can be used to exchange digital assets. This is one of the biggest areas where we are seeing the new transformations. Smart contracts are used to exchange anything of value in a more secure way without any middlemen. They are some line of codes that facilitate the same purpose of a written contract. Looking at the financial sector, there is a raft of paperwork involved. Blockchain in Fintech keeps a track of paper trails. A smart contract can wipe out paperwork at half the cost. Peer to peer Payment- Transfer of money abroad has always been time-consuming and are often delayed in the financial sector. Blockchain in Fintech has resolved this problem to a simplified and faster one. Security and regulatory compliance- Security of data in Blockchain network is more guaranteed than any other existing technologies. Since changing any ‘Block’ in the chain need an entire restructuring of the whole previous blocks; modifying and deleting the data is highly impossible. Fintech companies are modernizing their regulatory compliance via blockchain technology by eliminating the factors like risk, uncertainty, and complexity. Digital Identity- In an increasingly digital society, digital identity is growing in importance. Financial institutions do not have a fixed set of records that are necessary to prove their identity. They also spend a lengthy inspection process. Blockchain in Fintech offers a universal digital identity system where participants need to go through verification just once and can use this verified identity document to conduct transactions anytime and anywhere in the world. Looking at the developments in Fintech, it is very easy to make out assumptions how the financial services of the world gonna take a revolutionary change in coming time. Blockchain in Fintech is still futuristic, and its practical application in the mainstream is yet to be accepted globally. However, the relevance of blockchain technology holds its own exclusive attributions making it a promising technology, it is highly likely that the number of disruptive blockchain in Fintech firms will increase in the future.